Born in Kenilworth, Wellington, Ontario. 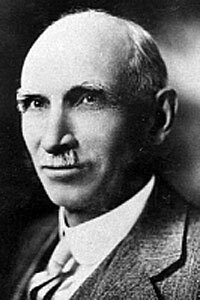 George Batho arrived in Manitoba in 1897 to farm in the Austin district. Having learned the printing trade in Mount Forrest, Ontario, he became a traveling representative and correspondent of the Nor’-West Farmer. In 1903, having moved to Winnipeg, he served as editor-in-chief of this pioneer Journal of Western Canada for thirteen years. In 1916, Mr. Batho was appointed as the Editor of Agricultural Publications and Statistics for the Manitoba Department of Agriculture, where he was to supervise the publication of 411 booklets, 69 of which he wrote himself. George Batho had a keen interest in prairie horticulture especially in noxious weeds. He served as president and director of the Manitoba Horticultural and Forestry Association, receiving an Honorary Life Membership in 1930. He became secretary of the Manitoba Weed Commission when it was formed. Through his research and educational work relating to noxious weeds, he performed a service which could only be measured in the millions of dollars to Manitoba farmers. He served as secretary of the Manitoba Branch of the Canadian Society of Technical Agriculturists and was a life member of the Agricultural Institute of Canada. In addition to his activities related to his profession and his community, Mr. Batho was a charter member of the Broadway Baptist Church in Winnipeg. Respected and admired by all who knew him, George Batho made a considerable contribution to the agricultural development of Manitoba.